I'm back today with another SAB card! 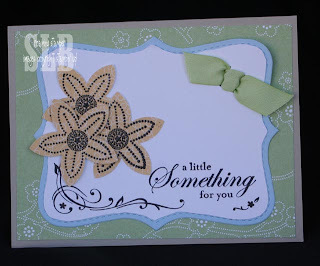 This card uses two of the SAB sets, A Little Something and Polka Dot punches. It also uses the DSP and ribbon available from the SAB catalog! I'll have another SAB sample for you tomorrow!